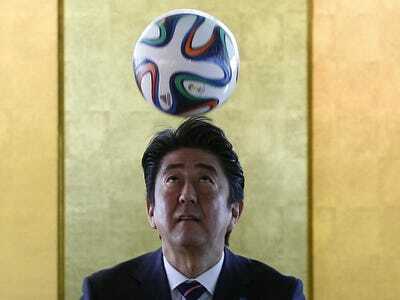 REUTERS/Ueslei MarcelinoJapanese prime minister Shinzo Abe may call a snap election. Japanese Prime Minister Shinzo Abe just called a snap election, after the country slumped into recession. He has told his party leadership earlier Tuesday that he planned to call a snap election for Japan’s lower house next month, Japanese public broadcaster NHK World said. 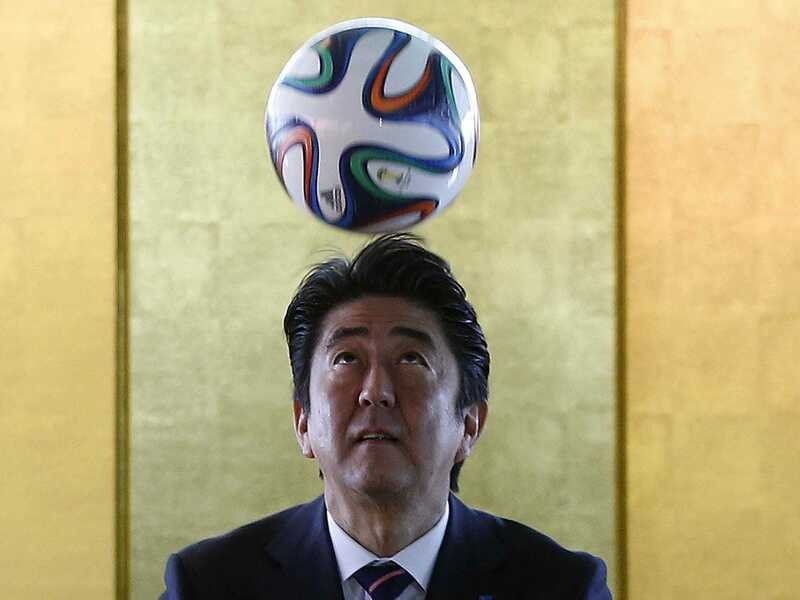 Abe was expected to announce an early election on Tuesday after an unexpectedly bad GDP report showed that Japan had slipped back into a recession. Analysts were expecting a 0.5% increase in GDP for the third quarter, but the figure actually came in at -0.4%. The prime minister wants the election to get a mandate for some changes, including support for a plan to postpone a sales tax hike scheduled for October next year. The GDP slippage is being attributed to a sales tax hike in April, which was agreed by political consensus before Abe came to office. Japan’s NHK is reporting that Abe wants an 18-month delay on the hike, which he says will be the last delay. Abe’s party currently has an 85 seat majority in the lower house. Pushing back the tax hike will also likely extend Japan’s monetary easing until at least 2017. The Bank of Japan unexpectedly boosted its quantitative easing (government bond purchases) at the end of October, as the April sales tax hike’s effects were more severe than expected. The combination of fiscal easing, monetary easing and structural reforms pursued by Abe have become known as ‘Abenomics‘.